Tom and I previously worked together and his version of the story is that my side of the building (Marketing) didn't talk to his side (Finance) but once he moved to another department I finally said "Hi." After that, at the company holiday party, I invited him out after to have dinner with friends of mine. He came and also brought along a friend, who he ended up giving my number to, so he clearly misread my signal! Three months later we reconnected after running into one another during March Madness at Paramount and then shortly after that had our first date. June the following year he proposed at our favorite swimming hole (really our dog Jumbie's favorite) on Lake Martin. What was your vision for your wedding? Favorite detail? Our wedding was originally scheduled to be on St. John in the Virgin Islands but after the hurricanes we needed to relocate it back to the states. We still wanted to keep it as an intimate celebration and the one thing that really stood out as a way to achieve that in Birmingham was to share an amazing meal with our family and close friends. 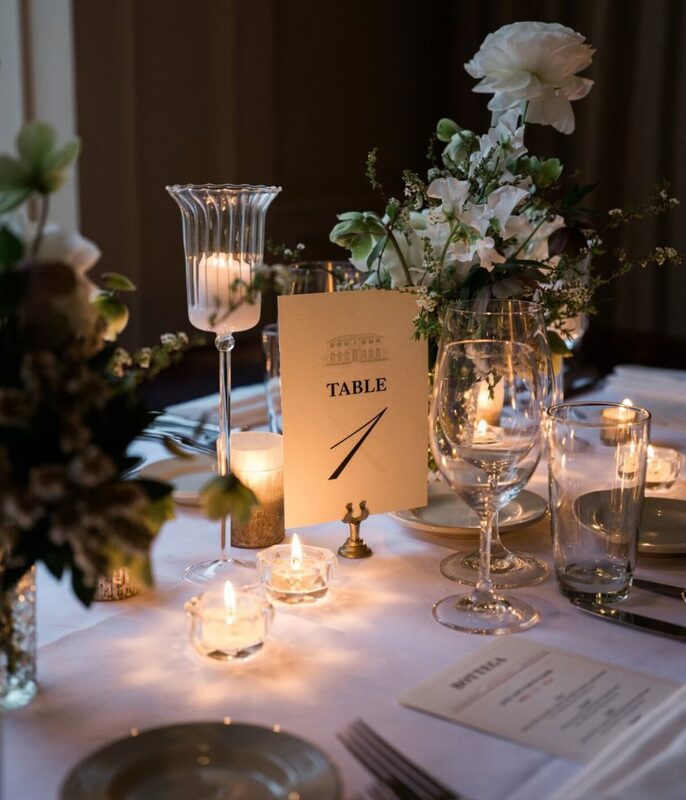 Keeping that in mind, Bottega was the perfect place for our reception and that was one of our favorite details because without Pardis and her team we would not have had this wonderful evening with our family and friends. What was your favorite part of the planning? Truth be told, planning wasn't fun or easy until I called Neillie! Round 2 of wedding planning was so much more enjoyable and relaxing. My mom and I kept commenting how easy the process felt. Even though we had a small wedding, having Louise and the Mariee Ami team on board allowed us to soak it all in. Also, I loved working with Sloane and Molly Ivory & White. They stuck with me through multiple try-ons that lasted from July to October and because of their dedication I only went to one boutique. When changing wedding venues back to Birmingham, my idea of a wedding dress changed as well. 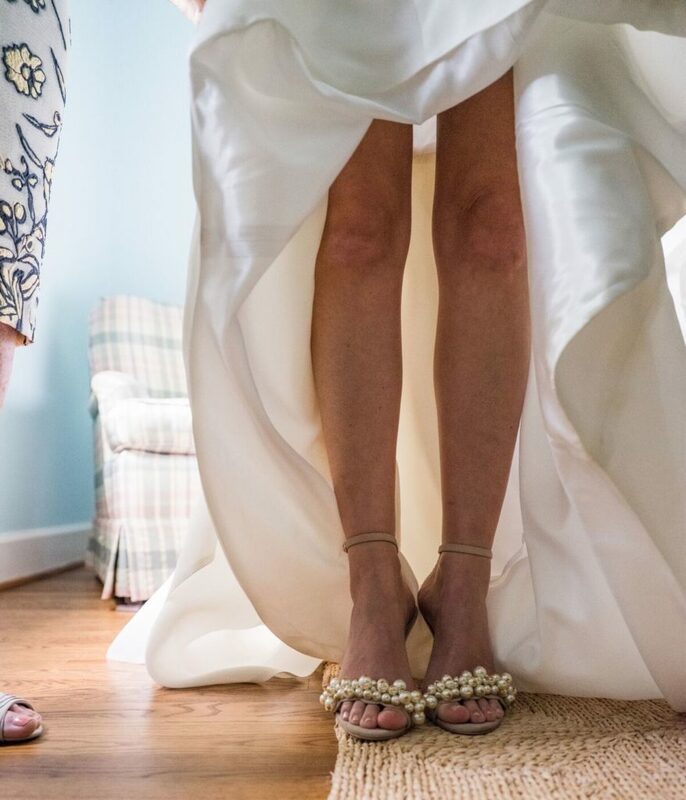 I never thought I would wear strapless but ended up loving my two-piece Monique Lhullier. We removed a peplum, a rooster tail of tulle and in the end, I truly had the "bride" moment on my wedding day. What was your most memorable part of the day? The most surprising part? 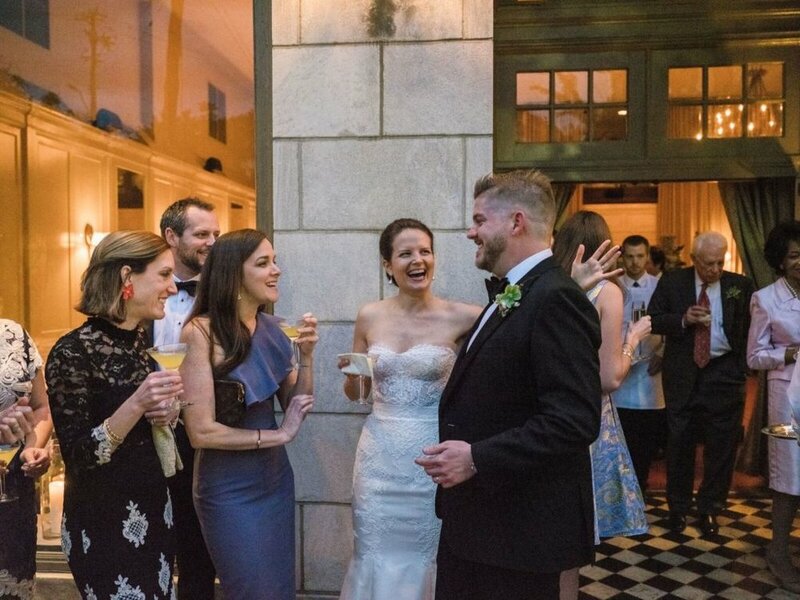 Despite having a small wedding with no bridal party or some of the other traditions, we still wanted to keep it sentimental which for us meant not seeing each other before walking down the aisle and having first dances. Tom surprised his mom by dancing to one of their favorite Led Zeppelin songs, which our band String Theory learned, and they both truly loved it. Also, walking around the restaurant and getting to visit with all our guests during dinner made us feel more connected than a quick "hello" as we walked past someone. The most surprising part was quickly the night goes by! Once the church doors opened, it felt like in the blink of an eye that the night was over and I wanted to savor it all one more time. If you could give another bride in the planning process any piece of advice, what would it be? Trust yourself and don't sweat the details. In the end, you won't notice if the flowers on the altar aren't the right shade of white because you'll be so happy in that moment looking down the aisle at your groom.